The calibration report or certifcate number is to be obtained from the calibration seal. To identify your order or purchase order number please contact procurement or refer to esz AG’s corresponding documents such as acknowledgement of order, delivery note or invoice. 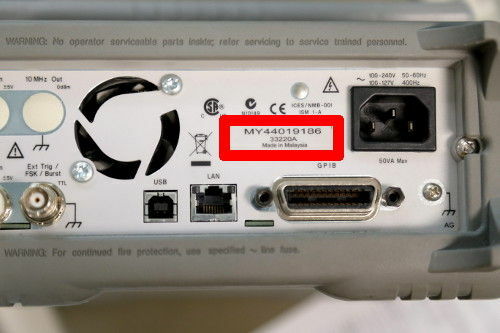 The serial number is typically to be found on the back side of the concerning piece of equipment. To identify your customer number please contact procurement or refer to any of esz AG’s corresponding documents such as quotation, acknowledgement of order, delivery note or invoice. The test equipments indentification or asset number is an individual code assigened by your organization. 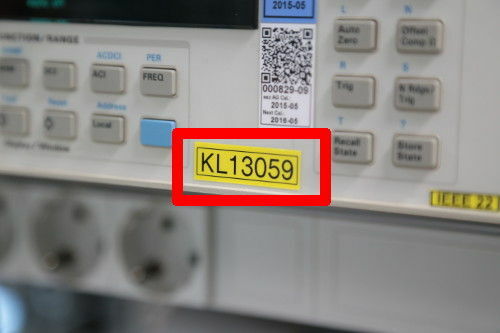 The identification number is typically to be found on the back side of the concerning piece of equipment. For further details do not hesitate to contact us. Most experienced users recommend to rely on esz AG's test and measurement equipment mangement software asset expert. asset expert provides an extensive real-time access to manage your entire test and measurement equipment database including past and recent report and many more.